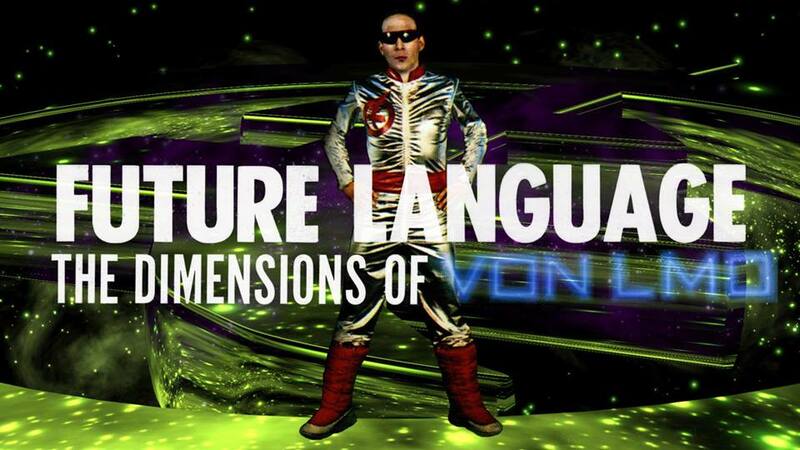 FUTURE LANGUAGE: The Dimensions of VON LMO is a distorted portrait of an artist that explores storytelling, ego, delusion, conviction and memory. VON LMO is a musician/artist and self-proclaimed alien-hybrid who was a part of the late 70s New York No Wave music scene. Between trips to his home planet of Strazar and multi-dimensional travel, VON has also spent some very real time in prison and on the streets of Earth. Challenged with translating his Future Language for audiences across the galaxy, Lori, our filmmaker and VON LMO fan, gets sucked into VON's orbit and finds herself lost in his story. Lori Felker is a Chicago-based filmmaker/artist, teacher, programmer, and performer. Her films and videos attempt to study the ineloquent, oppositional, delusional, frustrating, and chaotic qualities of human interaction. She loves every facet of filmmaking and has worked as a cinematographer, editor, and actor for artists and directors such as Jerzy Rose, Melika Bass, Jesse McLean, and Geof Oppenheimer. She has also spent beloved, valuable time as a Festival Coordinator and programmer for the Chicago Underground Film Festival and Roots & Culture Gallery and as a projectionist at the Gene Siskel Film Center. She is currently an Assistant Professor in the Film Department at the University of Wisconsin, Milwaukee. Lori works in a variety of mediums and has shown her work internationally at festivals and spaces including the Rotterdam International Film Festival; NYFF: Views from the Avant-Garde; VideoEx, Zurich; Slamdance, Park City, UT; Ann Arbor Film Festival; Festival du Nouveau Cinema, Montreal; Curtas Vila do Conde Film Festival, Portugal; Glass Curtain Gallery, Chicago; LA Filmforum; BAMcinemaFest, Brooklyn; and Space Gallery, Pittsburgh. She is an Illinois Arts Council Artists Grant recipient, a Wexner Center Artist in Residence and a Fulbright Fellow.